During a very wet winter, a landslip carried away a significant part of the hillside garden of a large private house on the outskirts of Bath. 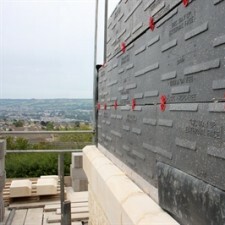 The consultant engineer hired by the owner decided to re-contour the site using Jablite Geofoam. 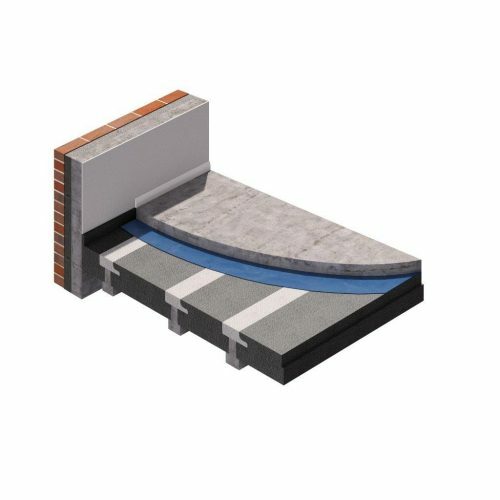 "EPS weighs only 1 per cent of traditional fill materials – and this light weight allied to its structural strength makes it ideal for this sort of application. 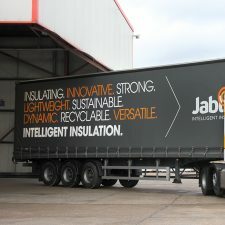 Jablite Geofoam is an economically attractive solution too." A period of heavy rain caused a landslip in the garden of a valley-side mansion near Bath. Water had built up behind an impermeable layer within the soil, the ground had become super-saturated, and eventually gravity did its work. A patio area close to the house and a significant section of garden, including 2800 tons of soil (or roughly1600 m³) slipped down the slope. To restore the garden and prevent any possible further damage to the property, a considerable amount of remedial work was needed – and a consultant engineer was brought in. He considered shifting the displaced soil back up the hill and attempting to re-anchor it: but was not really an option in economic or practical engineering terms. Instead, he opted to reconstruct the affected area using Jablite Geofoam. 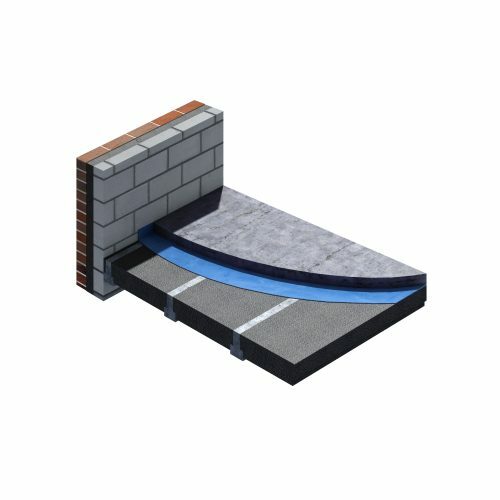 EPS weighs only 1 per cent of traditional fill materials – and this light weight allied to its structural strength makes it ideal for this sort of application. 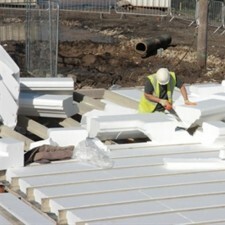 Geofoam is an economically attractive solution too. 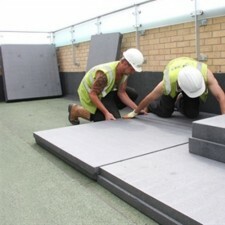 It’s easy to deliver to restricted-access sites and its ease of installation means it’s highly cost-effective in terms of labour costs. No specialist equipment is needed, so non-specialist contractors can be used. 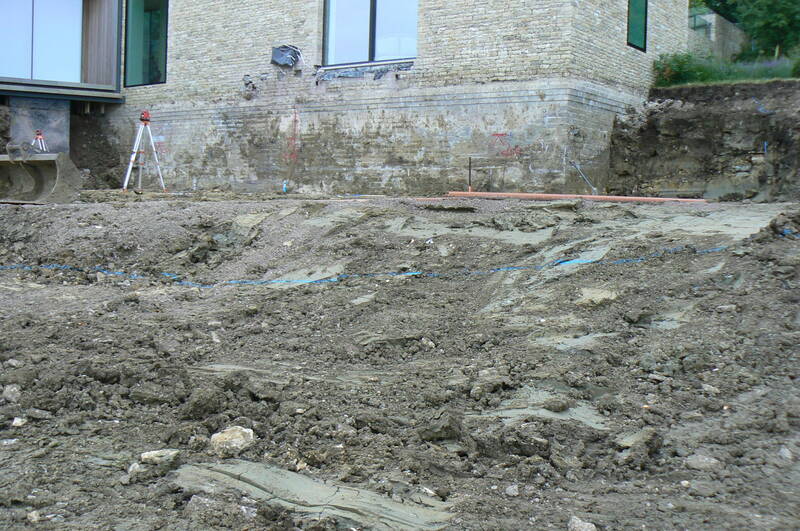 The slippage soil was removed entirely and used to landscape other areas of the grounds of the property. 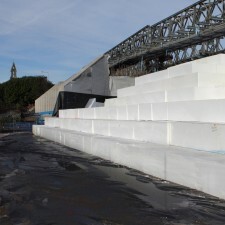 Then, when the affected area had been striped back to stable soil, 960 blocks of Geofoam 100 were delivered to the site and assembled to form a stepped EPS embankment. 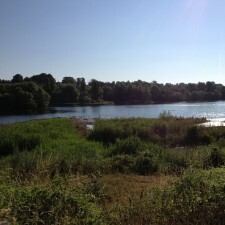 This was then covered by soil and topsoil to restore the original site topography and the topsoil was seeded with grass. As it establishes itself, the grass knits into densely interwoven turf, making the whole structure immensely stable. And, thanks to the embankment’s light weight construction, there’s no danger of underlying slippage. 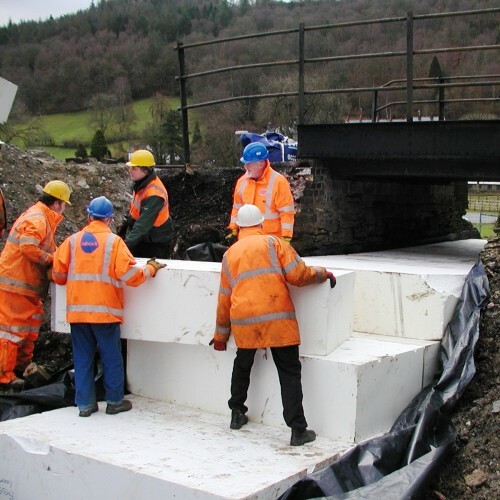 Traditional fill materials used to construct new embankments or placed against civil engineering structures, can cause unacceptable vertical and/or horizontal stresses in the underlying soil or against the structure. 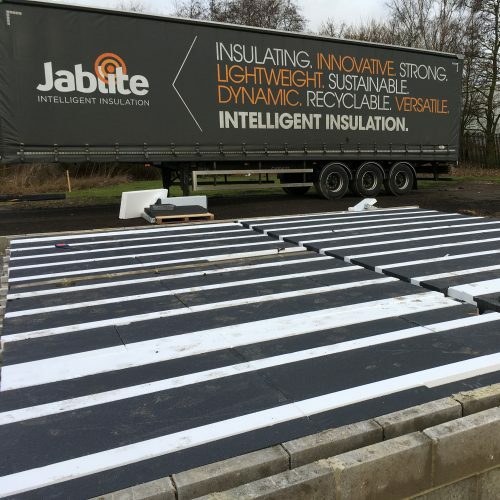 The use of Jablite Fillmaster as a fill material offers a reliable, cost-effective lightweight solution to these problems, reducing the probability of further settlement or unacceptable lateral forces and often simplifying the construction. 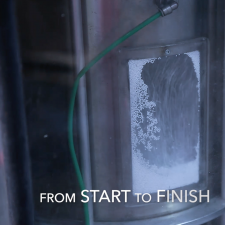 Product updates, how to articles, hints and tips, and innovations in EPS.